The shoes will be dispersed at an upcoming Wednesday run at Uncle Billy's. Didn’t win? Don’t worry, there’s still time to save 25% on SKORA's entire inventory through the end of Cyber Monday! The rumors are true: the Austin Beer Run Club has partnered with SKORA to give away 3 new pairs of premium running shoes! We're really excited that SKORA is working with us on this promotion. (Thanks for all of your help Tyler!) 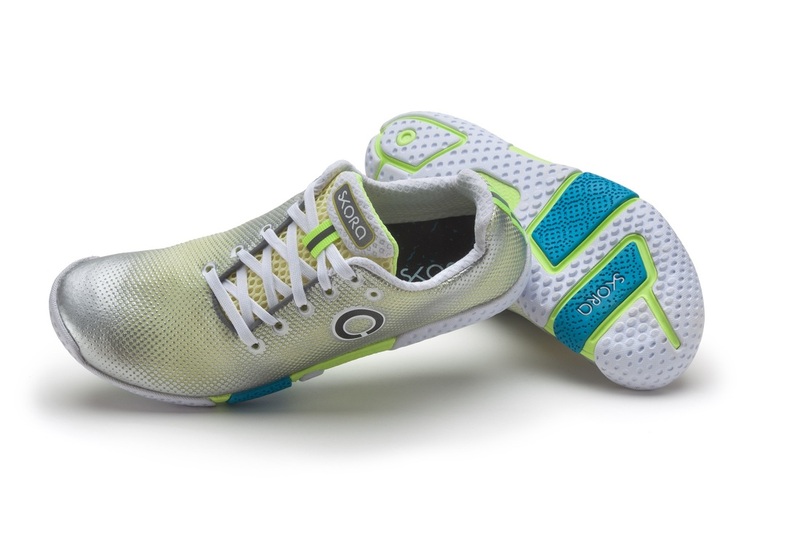 SKORA is a premium performance running shoe company based in Seattle, building shoes that encourage a more bio-mechanically correct, natural stride. To be a part of the contest you must be a part of our mailing list, so sign up now! Drawing Date/Time: the drawings will be held on Sunday, November 30th at 8pm. Winners will be announced on Monday morning, December 1st. Drawing: There will be three (3) new pairs of running shoes given away. The first drawing will be for a pair of women's running shoes. The second drawing will be for a pair of men's running shoes. The third drawing will be for a pair of either men's or women's running shoes, depending on the gender of the winner. Eligibility: in order to be eligible for this contest you must be a part of the Austin Beer Run Club mailing list prior to Sunday, November 30th at 6pm. Anyone who joins the mailing list after that time will not be considered eligible. You can sign up for the ABRC mailing list here. Winners: winners will contact SKORA directly (we will provide the contact info) to provide them with the style and size they need. This allows you to speak directly with SKORA about sizing/fit to get the perfect shoe. Shoes will be shipped to an ABRC organizer and given out during a Wednesday run. By participating in this contest you agree to the following rules. If you would prefer to opt out of this contest you can email us here. To be eligible you must be a part of the Austin Beer Run Club mailing list at least 4 hours prior to the start of the first drawing. You agree that your likeness will be used by the Austin Beer Run Club and SKORA for promotional activity. This includes images of you wearing your SKORA shoes. The drawing for the pair of women's running shoes will be based on mailing list subscribers who have marked the Gender field (on the sign-up form) as "Female". The drawing for the pair of men's running shoes will be based on mailing list subscribers who have marked the Gender field (on the sign-up form) as "Male". The drawing for the third pair of running shoes will be open to all mailing list subscribers who have not already won. Members of the ABRC leadership team, their family members, and Uncle Billy's staff are not eligible for this contest. About SKORA: SKORA is the result of a 12–year journey to craft a better running shoe — one that incorporates the best of what nature intended with the best of what technology can enhance. Rather than look for features to add, we look for features to remove. We believe that the best shoe is one that complements the human body and allows it to perform naturally. For more information please click here.